A number of families who fled Somalia in the 1990s to seek refuge in Yemen are today fleeing again toward Somaliland to escape violence. Officials are now worried that Somaliland does not have the adequate infrastructure and security measures to deal with the flow of arrivals. The United Nations High Commissioner for Refugees (UNHCR) provides "return assistance" to those willing to head back to central Somalia, but many of them are reluctant to return to Mogadishu due to the country’s insecurity. To demonstrate the far reach of the escalating fighting in Yemen, Fahia Alis Hassan held up what was left of her daughter’s Yemeni ID card. The torn and charred document still displayed a discernible portion of her daughter’s photograph and enough print to identify the young girl’s status as a Somali refugee living in Yemen. Hassan then pointed to scabbing burn marks on her daughter’s legs as further evidence of a narrow escape from violence. Hassan and her family originally fled ongoing fighting in Somalia in 1997, making her way to a refugee camp in southern Yemen that she referred to as “jaheim” – the Arabic word for hell. “I am a permanent refugee,” Hassan said with a giggle of disbelief. She is living a paradox: a country that brought her respite from fighting in her homeland almost 20 years ago is now caught up in its own bloody civil strife. The 43-year-old woman wasn’t able to articulate how her daughter was injured, but managed to explain that the pair were caught in fighting in Taiz, Yemen’s third largest city. She only went there after not being able to secure food and water at the refugee camp. But Taiz has not fared much better, as conflict in Yemen continues to destroy livelihoods. Not only has the city convulsed under the two-month long Saudi-led bombing campaign, but also Houthis and allied forces loyal to former President Ali Abdullah Saleh are locked in fierce battles with a local resistance movement. Saudi Arabia began bombing Yemen at the end of March in an attempt to restore control of the capital Sanaa to Yemen’s government, now in exile, led by Abd Rabbuh Mansour Hadi. The Houthis, a group with disputed ties to Iran, have showed few signs of retreat as Yemen’s infrastructure crumble around them. Hassan now finds herself once again across the Gulf of Aden. After a 30-hour sea journey, she landed in the self-declared autonomous nation of Somaliland, territory that is not internationally recognised as independent but as part of greater Somalia. Yemen’s war has reverberated here, not only creating menacing questions about how to deal with an influx of war escapees like Hassan, but also cutting off key trade routes that Somaliland relied on for its livestock industry. Spillover from Yemen has created economic, social and security concerns in this Horn of Africa nation. So much so that Somaliland officials stirred controversy recently when they announced the country would stop receiving refugee boats. Somaliland’s minister of interior told reporters in late May that Somaliland did not have the structures or security measures in place to deal with the steady flow of arrivals - roughly 3,000 based on the most updated statistics posted by the UN Refugee Agency (UNHCR). A majority of arrivals have family from either Somaliland or south central Somalia, but many have not seen their home country in decades or at all, having been born in Yemen. A smaller number of refugees are Yemeni passport holders, according to officials. Their numbers are expected to dramatically increase as the war continues. 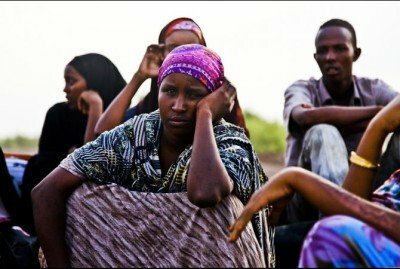 Ministry of Foreign Affairs officials expressed the government’s frustrations with what they called a “poor” response from aid agencies to deal with the influx, citing specific concerns about those from south/central Somalia whose needs would be difficult to meet. On 30 May, following a public backlash and negotiations with aid organisations, including UNHCR, the government reverted back to previous statements that unconditionally welcome those fleeing the Yemen crisis. UNHCR is providing what they call “return assistance” to those wishing to make their way back to south and central Somalia from Somaliland. But it remains unclear what will happen to those like Fatima Abdo Ahmed, who after being abroad for so long, barely recognises her home country. “We don’t have a plan,” said the 65-year-old grandmother who fled Yemen with her daughter and some of her grandchildren in May. At the reception centre for new arrivals in Berbera Port, huddled next to blankets and foldable foam mattresses the family was able to pack before leaving Yemen, Hassan explained that her first priority was keeping her family safe. And for her, that does not include a return to Mogadishu, the embattled Somali capital that she left 20 years ago. While Mogadishu has shown signs of stabilisation in recent years, many believe a return would just set them up for further displacement. In an emailed statement, UNHCR acknowledged that assisting people to return to Somalia would be determined by “Somalia’s still-difficult security environment, especially troubled regions”. Neither UNHCR nor the government were able to speak about a concrete plan to handle cases like Ahmed’s. Abdirisaq Mohamed Saed, the head of the International Cooperation department at the Ministry of Foreign Affairs, said that families like Ahmed’s are likely to be aided by Somaliland’s social structure that can serve as a safety net. Large extended families are accustomed to opening their homes to one another in times of need. However, he cautions that a reliance on community charity is not a durable solution as it overburdens already struggling families. As conflict in Yemen drags on, thousands more will find themselves in search of peaceful host countries and Somaliland may be one of the few viable options, he said. According to Saed, Yemeni refugees in Djibouti - where a vast majority of those fleeing to the Horn of Africa have landed - are now crossing the border south to Somaliland in search of cooler temperatures and cheaper living costs. “In the next three or four months - the real migration will start, and the aid that has reached so far will not help,” Saed said. At the Berbera Port reception centre, a new round of war-weary escapees brought a fresh scramble for housing and transportation. Greeted by oppressive coastal temperatures, tired bodies rested against overstuffed suitcases inside two open-air tents. Still unable to shake off the memories of anti-aircraft guns and aerial bombardment, the question of what comes next prompted uncertainty and frustration. For some it was simply not worth answering. Abdulla Hussein Mohammed, a 26-year-old Yemeni, sat in the shade with a couple of his 17 family members that made the journey to Somaliland from the beleaguered southern port city of Aden. “We’re still figuring it out,” responded Mohammed when asked if his family had a place to stay. A couple of hours later, Mohammed, his family and all of their suitcases had disappeared. Photo courtesy of Horseed Media.